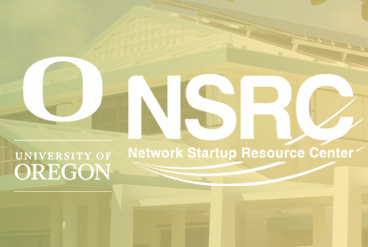 In June 2017, the University of Guam received $250,000.00 (Award #1659182) from the National Science Foundation to partner with two leadership instutions, the University of Hawai'i (UH) and the Network Startup Resource Center (NRSC) at University of Oregon to develop an advanced network designed to support research, education, and scientific discovery at the University of Guam. Together with UH and the NSRC, this project supports the implementation of an advanced campus network with a 10 Gigabit per second network connection between UOG and Internet2, capable of supporting high-speed exchanges of very large scientific data sets between Guam and other US research institutions. This project leverages two other NSF projects including the UH IRNC PIREN: the Pacific Islands Research and Education Network (ACI-1451058), and the NSRC's IRNC ENgage: Building Network Expertise and Capacity for International Science Collaboration (ACI-1451045). Our partners towards a Connected Future! The Pacific Islands Research and Education Network (PIREN) exists to provide full domestic support for AARNET’s current 2x40Gbps R&E circuits from Australia and New Zealand to the U.S., via Hawaii (including Mauna Kea) with upgrade to 2x100Gbps in 2016 and to foster research and education (R&E) network capacity to interconnect Pacific Islands with each other and the global R&E network fabric by building on previous projects and relationships. The University of Guam (UOG) is partnering with two leadership institutions, the University of Hawai'i (UH) and the Network Startup Resource Center (NRSC) at University of Oregon to develop an advanced network designed to support research, education, and scientific discovery at the University of Guam. continue reading. . . The Network Startup Resource Center (NSRC) cultivates collaboration among a community of peers to build and improve a global Internet that benefits all parties. We facilitate the growth of sustainable Internet infrastructure via technical training and engineering assistance to enrich the network of networks. Our goal is to connect people. UOG's CC* Award PI and CIO, Rommel Hidalgo, provided GOREX updates at the TransPacific R&E Collaboration discussions which followed the NSF IRNC updates meeting at Internet2 Global Summit. In addition, GOREX and CC* Award updates were provided at the Internet2 Global Summit NITRD Joint Engineering Team (JET) updates meeting, as well as the Internet2 Global Summit ­TransPacific R&E Networking Panel. The University of Guam today unveiled its new ultra-high-speed 100Gb GOREX Network during an event at the UOG Office of Information Technology. The Guam Open Research & Education eXchange (GOREX) connects Guam to Hawaii and California via the new SEA-US fiber-optic submarine cable. Installation was completed this week by technicians from UOG, University of Hawaii, and GTA. 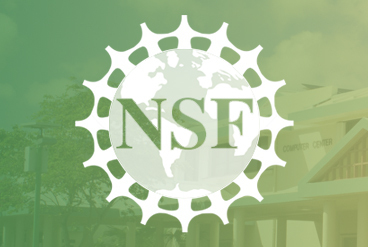 Guam is now connected to the global Research and Education Network fabric and is now capable of supporting high-speed exchanges of very large scientific datasets between Guam and other research institutions. 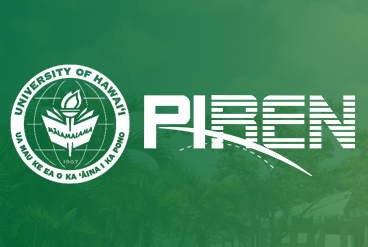 ­­ The University of Guam CC* award PI and CIO, Rommel Hidalgo, provided updates on the GOREX implementation, and the relationship of GOREX to the University of Hawaii's NSF PIREN project and the NSRC's NSF ENgage project. ­­­ The NSRC's Dr. Philip Smith visited the University of Guam to follow up on recommended UOG action items stemming from previous NSRC DEA engagements at UOG (August 2016 and May 2017). Dr. Smith then worked with the UOG CyberTeam to install and implement the first neutral, open, commercial Internet Exchange (IX) on Guam, called the Mariana Islands Internet Exchange (MARIIX). ­­­ UOG's CC* Award PI and CIO, Rommel Hidalgo, did a presentation on the GOREX concept and gave implementation updates during the APAN 45 Network Engineering Workshop. ­­­ Two of UOG's CyberTeam technical staff co­taught for the Track 1: Network Management/Monitoring and Track 2: IPv4/IPv6 Routing workshops. EDUROAM WI-FI speeds will soon approach 1Gbps, nearly seven times faster. The University of Guam launched a new, upgraded Wi-Fi network on Nov. 1, 2017. UOG has partnered with eduroam (education roaming), a secure, worldwide Internet access service developed for the international research and education communities. Through the eduroam network, UOG students, faculty, researchers, and staff can access the Internet across the campus and in over 550 institutions in the U.S. and international institutions in 70 countries. Engineers from the University of Guam collaborated with the University of Oregon's Network Startup Resource Center team to teach Track 2: Virtualisation and Cloud Computing Workshop at this years Pacific Network Operations Group Conference and Educational Workshop. ­ Japan WIDE Project collaborators visited the University of Guam ­Discussions focused on possible Japan and Guam collaborations for Research & Education Networking. UOG provided GOREX and CC* implementation updates. This workshop built upon the success of past NSF Campus Cyberinfrastructure CC) and NSF Cybersecurity Innovation for Cyberinfrastructure (CICI) PI workshops. This fall’s workshop provided an opportunity for NSF award recipients to meet in-person, exchange project findings, interact with national cyberinfrastructure experts and collaborate across program areas, project areas, and project regions. Joint Plenary Conference Presentation with the University of Hawaii's VP for IT and CIO, Garret Yoshimi. Mr. Yoshimi provided progress updates with the PIREN (ACI­-1451058) project, and UOG CC* PI (OAC­-1659182) Rommel Hidalgo provided updates on the GOREX implementation. Installation of Ubiquity Air­Fiber 1Gbps connection for the new University of Guam School of Engineering (SENG) interim location at UOG. Wireless access points upgrade/refresh of University of Guam Science building large classrooms (75­100 students) to enable wireless connectivity for up to 400 unique wireless devices. © 2018 University of Guam. All rights reserved.